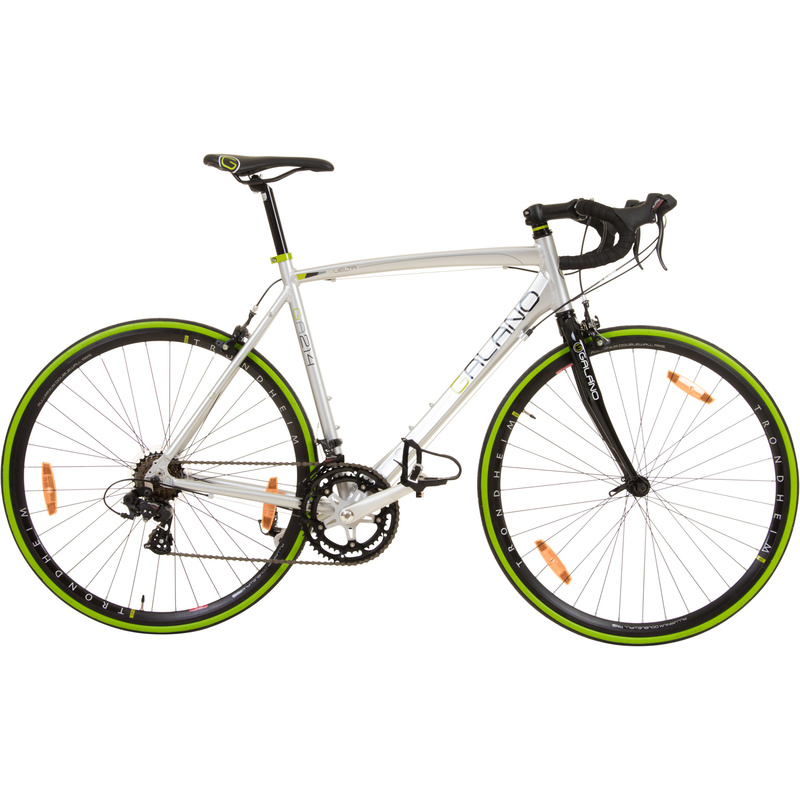 The 700 c Road Race Bike Vuelta by the British traditional bicycle manufacturer Viking is an entry-level road bike with a very neat setting. 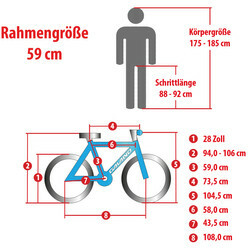 It is particularly suitable for beginners and advanced riders, and for those who want to get into the special world of road cycling. 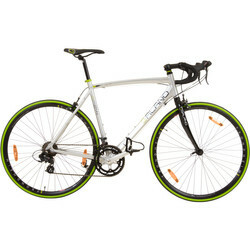 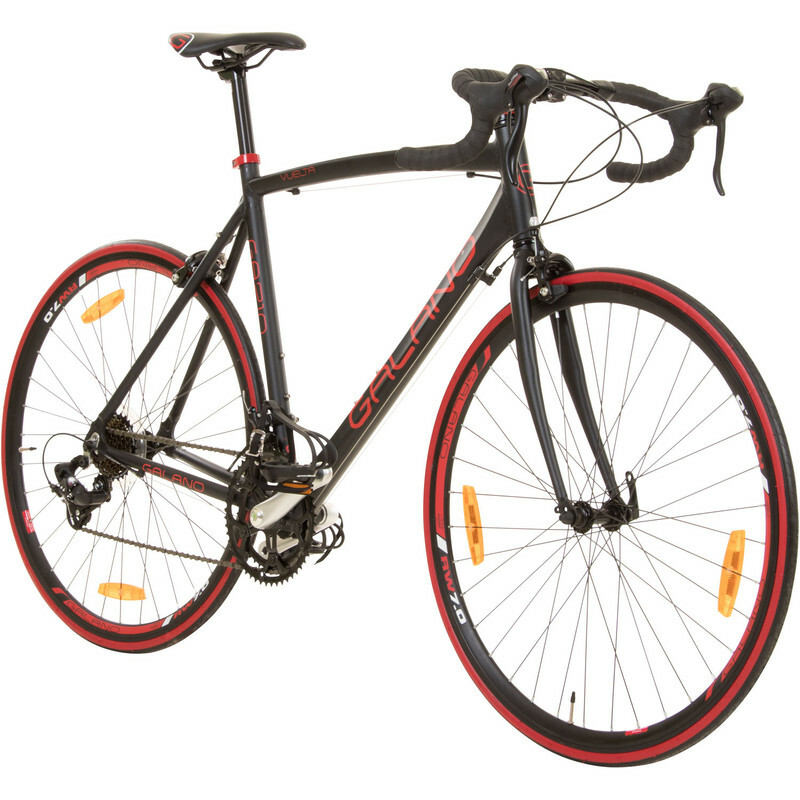 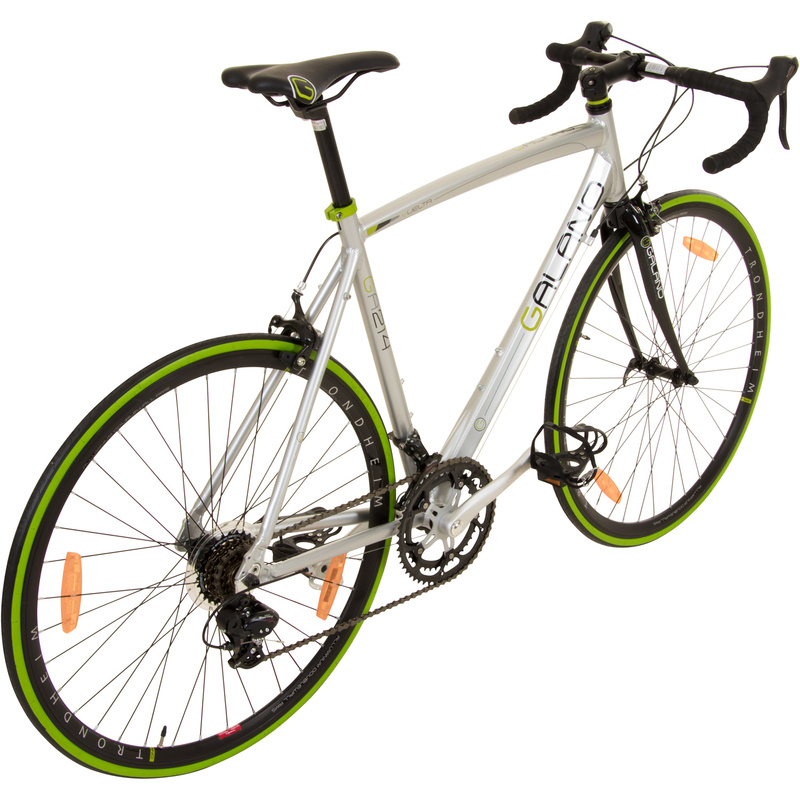 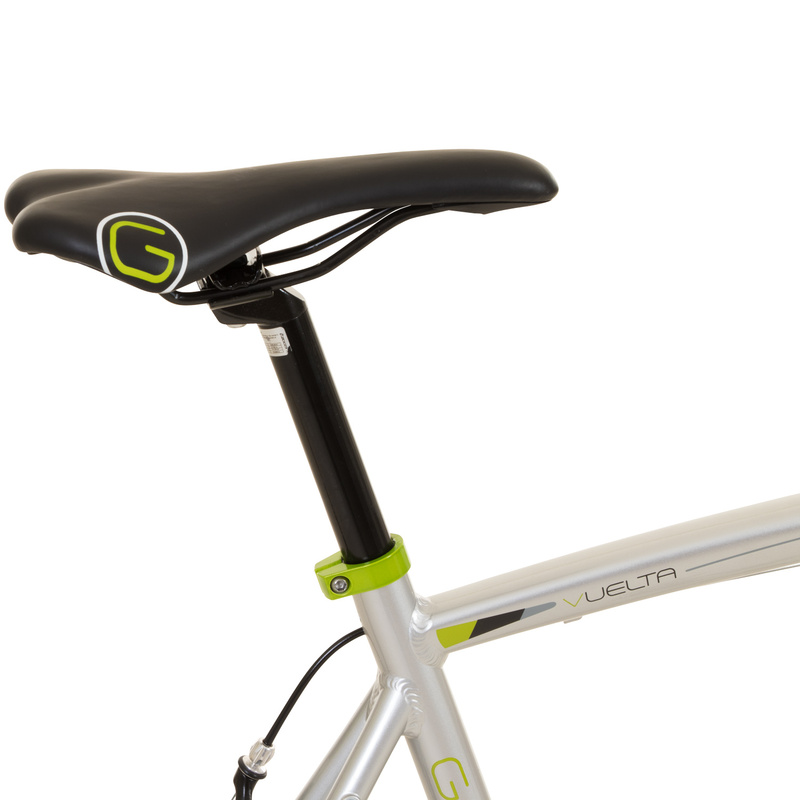 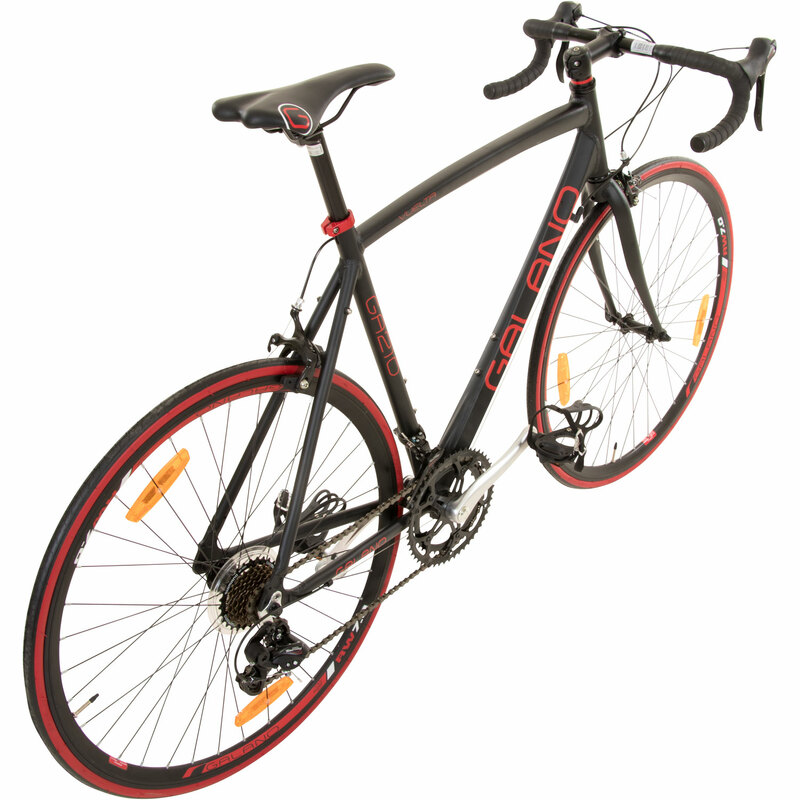 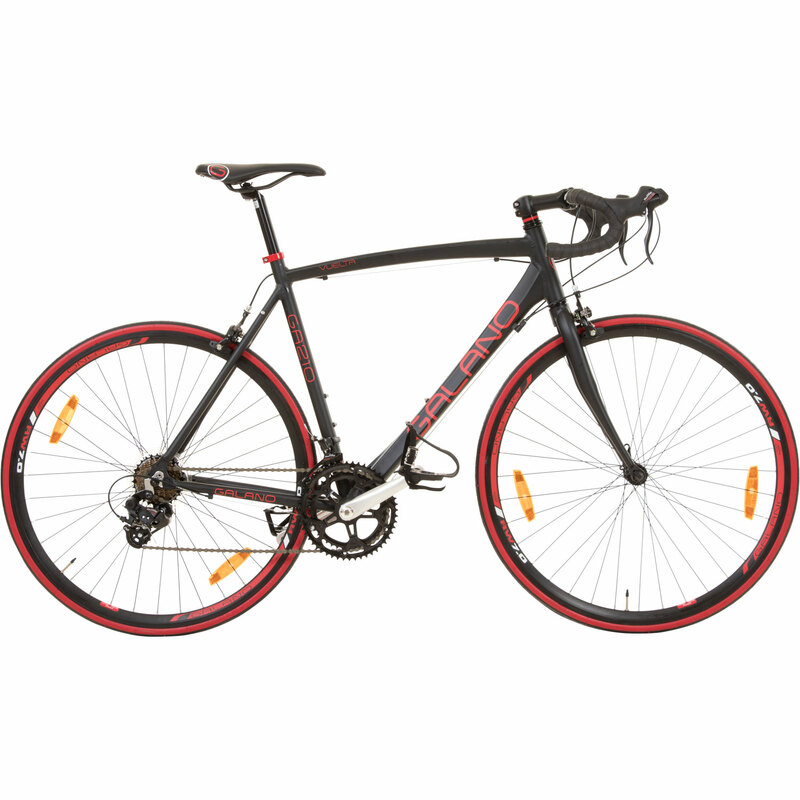 Immediately eye catching is the beautiful 6061-aluminium frame with it's hydroformed top tube. 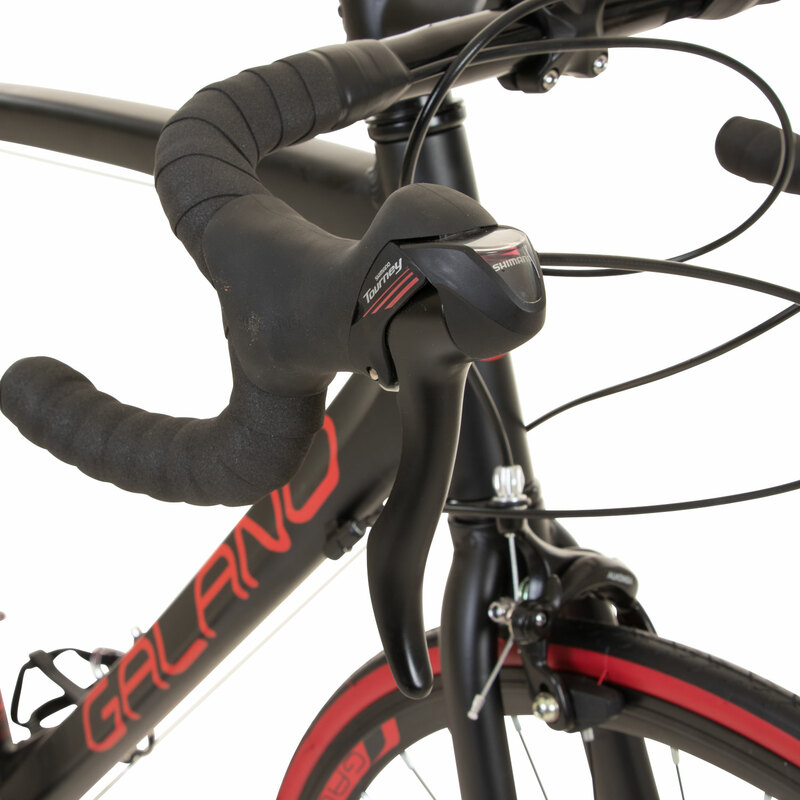 This technique makes the bike both streamlined and stiffer with simultaneous weight reduction. 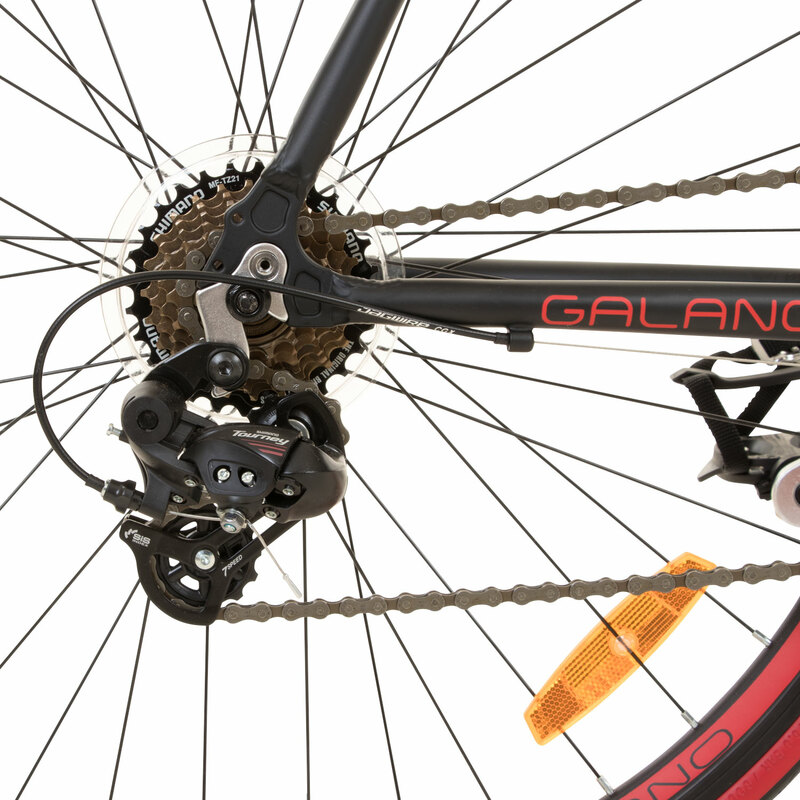 The Trondheim-36 hole double wall aluminum rims with Quando KT -510 quick release hubs ensure a low weight of your bicycle, The road bicycle suitable for both Men and women. 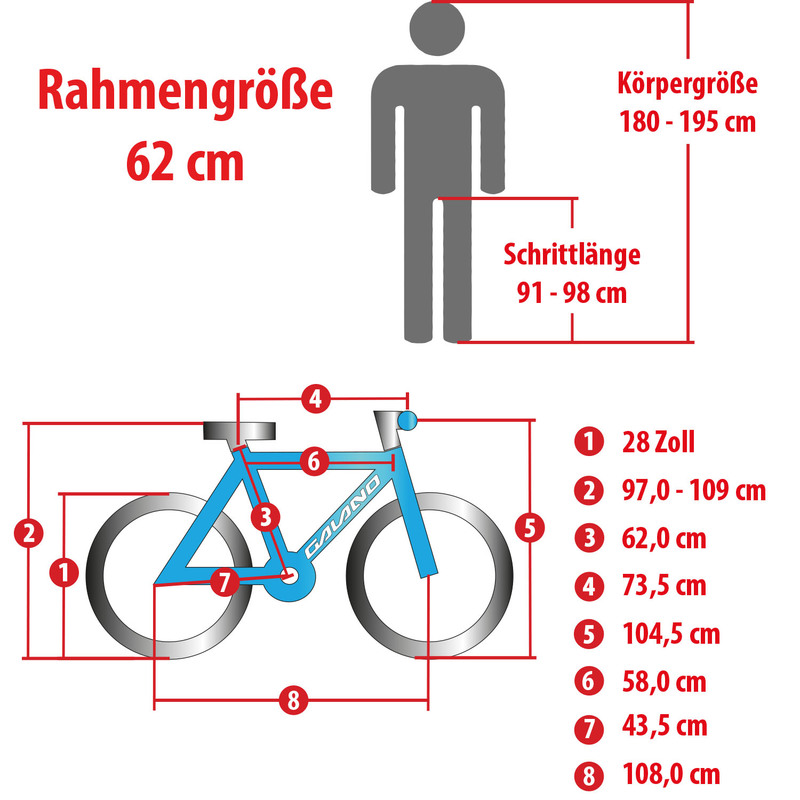 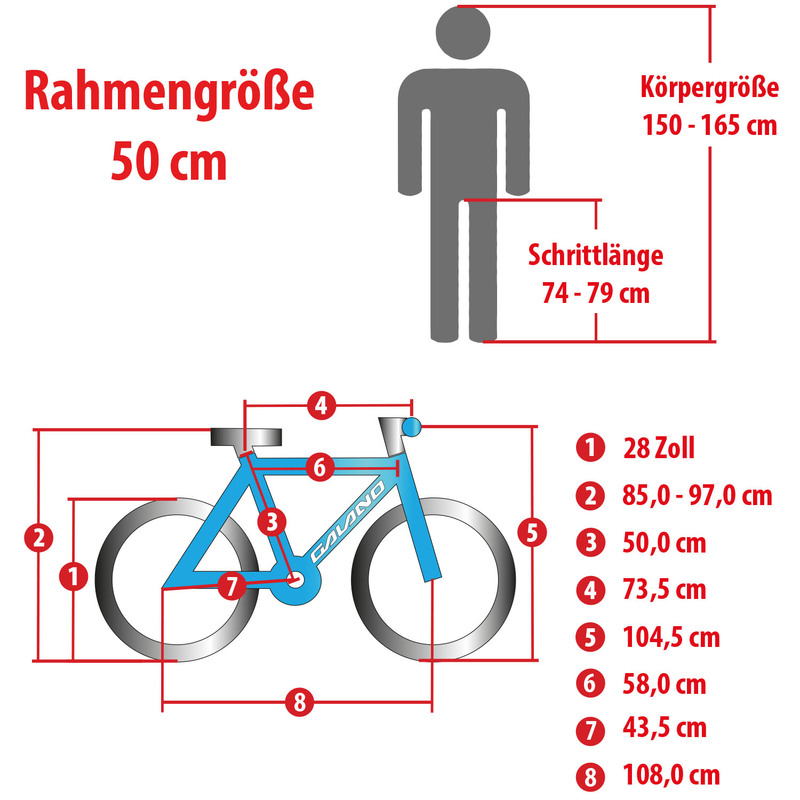 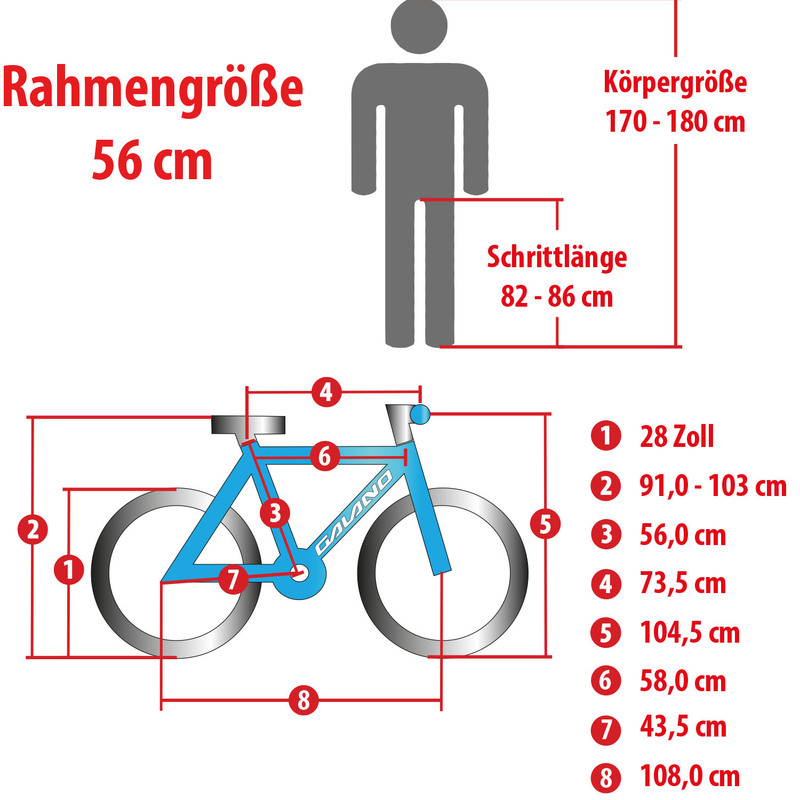 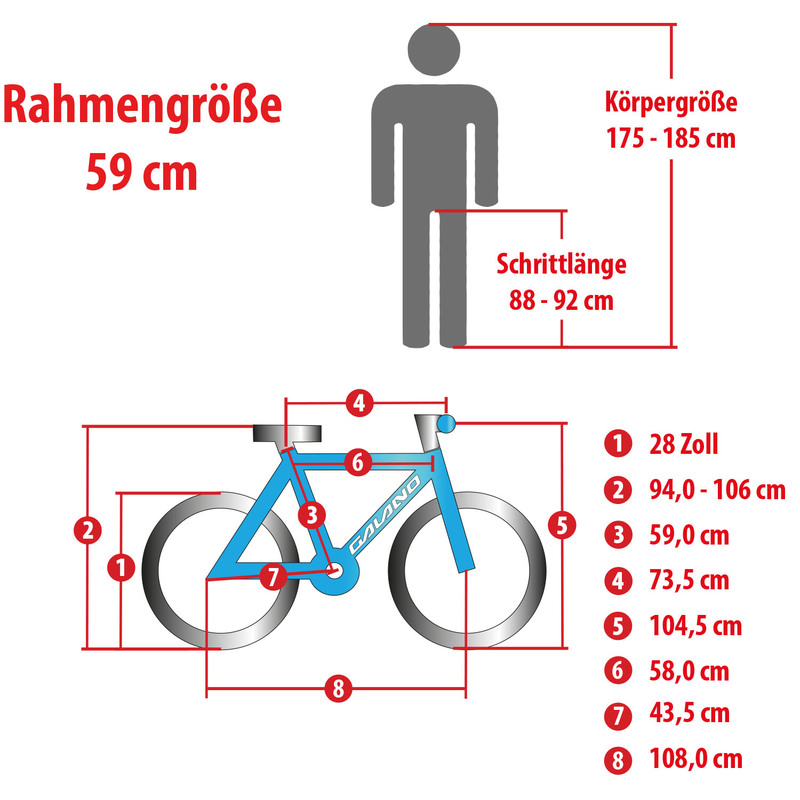 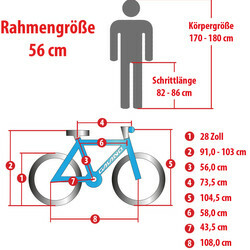 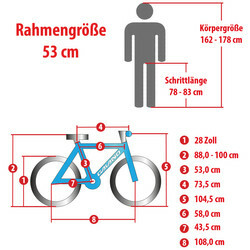 Please be sure to order the correct frame size for your body size. With the 14-speed Shimano gears operated by Shimano STI brake / shift combinations you have the right gear available for each terrain. 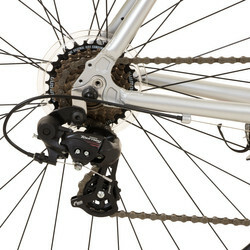 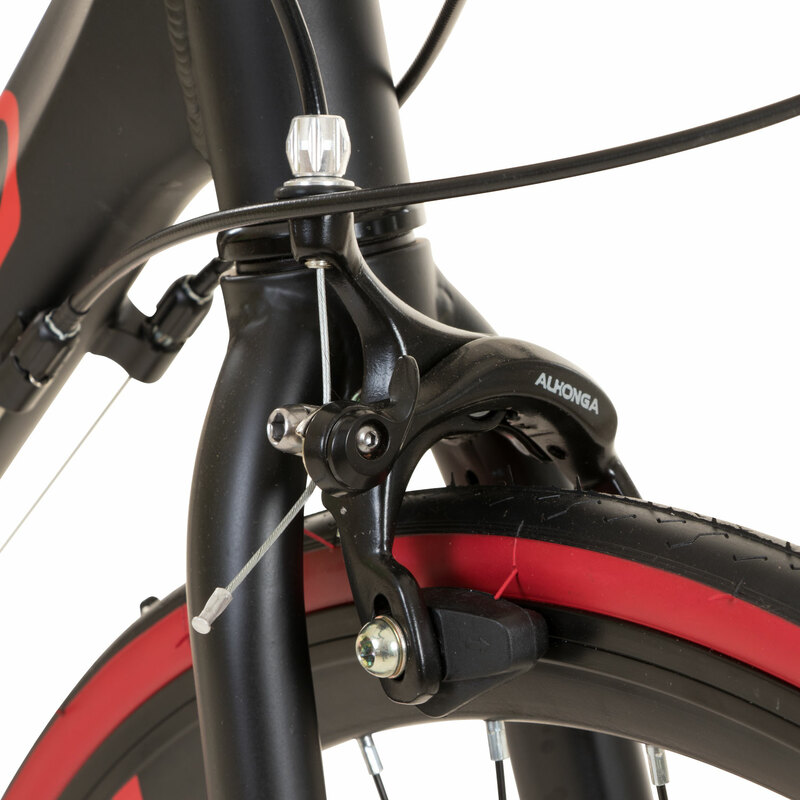 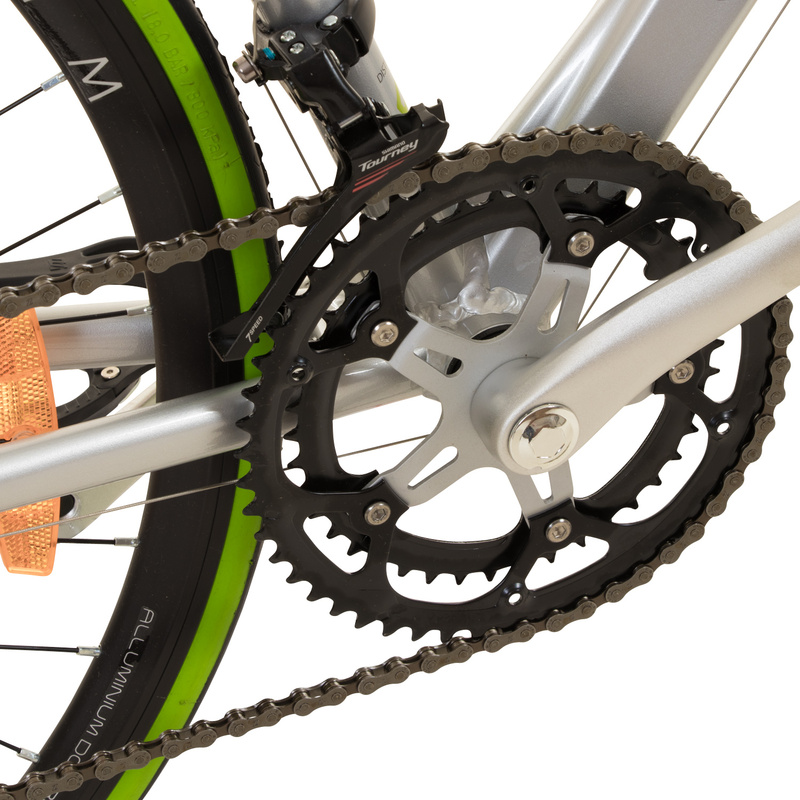 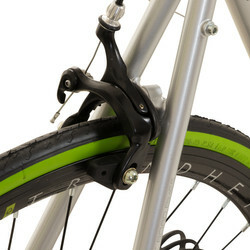 The strong and well-dosed Tektro Dual Pivot brake delay reliably in the every circumstance. 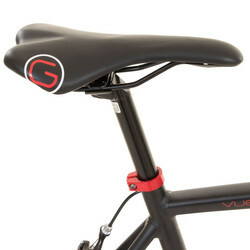 Since its founding in 1908 in Wolverhampton, England Viking represents high quality bicycles manufacturing. 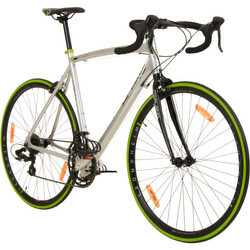 Particularly in the road-race sector the Viking brand has since been a synonym for success. 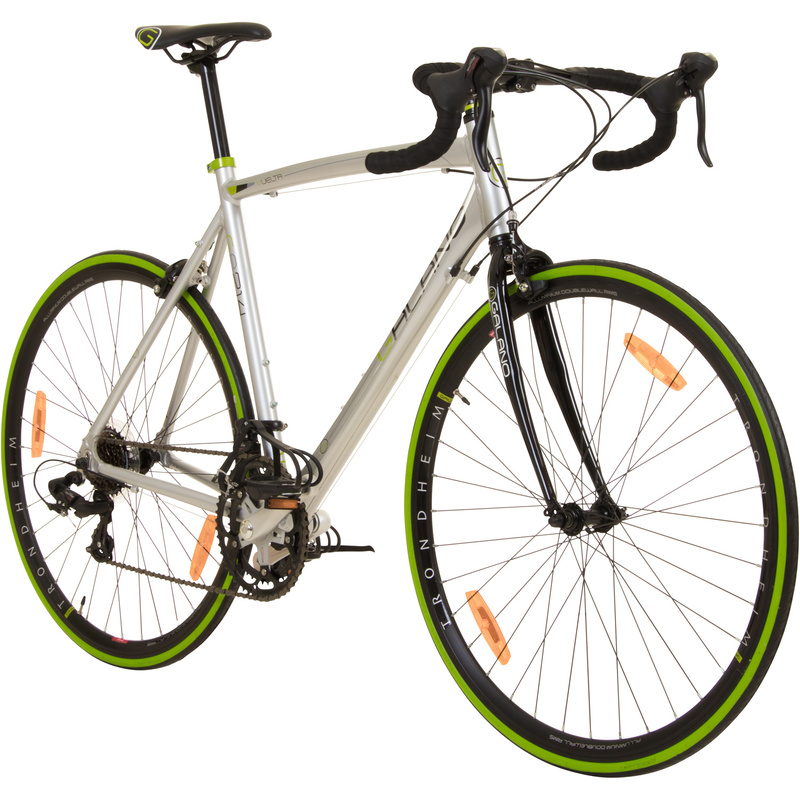 Starting with fine hand crafted road bike frames, Viking now manufactures all road models such as City and trekking bicycles, tandem, mountain, e-bikes, etc. With the road racing machine Vuelta STI Viking shows that the brand is also prepared Viking for the coming years. 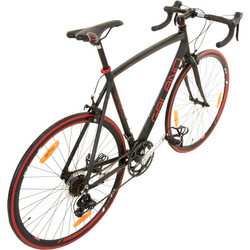 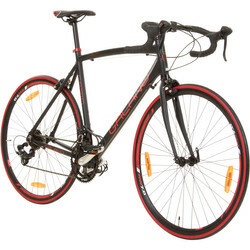 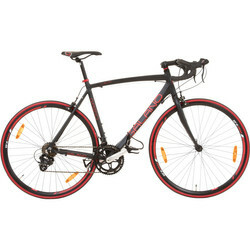 The bike comes 85% pre-assembled and is available in three frame sizes. 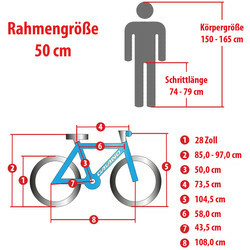 As the Bike has the the new curved top tube frame geometry the seat tube length is shorter for the same frame size. This improves the performance of the bike and looks additionally really good.